From the archives: IB World magazine regularly highlights graduates of the IB Diploma Programme. 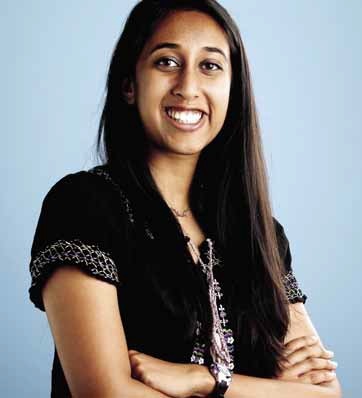 Divya Nag, Mira Loma High School in Sacramento, California, USA, was featured in September 2014. Her favourite school memory is competing at the 2008 State Science Olympiad competition. “The score was neck-and-neck between us and another Californian high school,” she recalls.“When the judges announced our rival, Mission San Jose, was in second place overall, we cheered louder than anyone else in the gymnasium because we knew it meant we had won first place.” After graduating from high school, Divya initially studied human biology at Stanford University. This story originally appeared in the September 2014 issue of IB World magazine. Are you an IB graduate? Join the IB Alumni Network by visiting www.ibo.org/alumni.